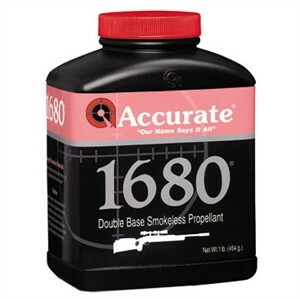 Accurate 1680 is an extremely fast burning, double-base, spherical rifle powder that is well suited for large capacity, high performance handgun cartridges such as the 454 Casull, 460 S&W and 500 S&W. 1680 is also an excellent choice for the 22 Hornet and 7.62 x 39, as well as other low capacity rifle cartridges. Made in the USA.